Imagine yourself relaxing on a tri-fold sofa while watching your dog eat from the pet dish drawer, and your spouse is looking outside through the windows at the beautiful scenery. 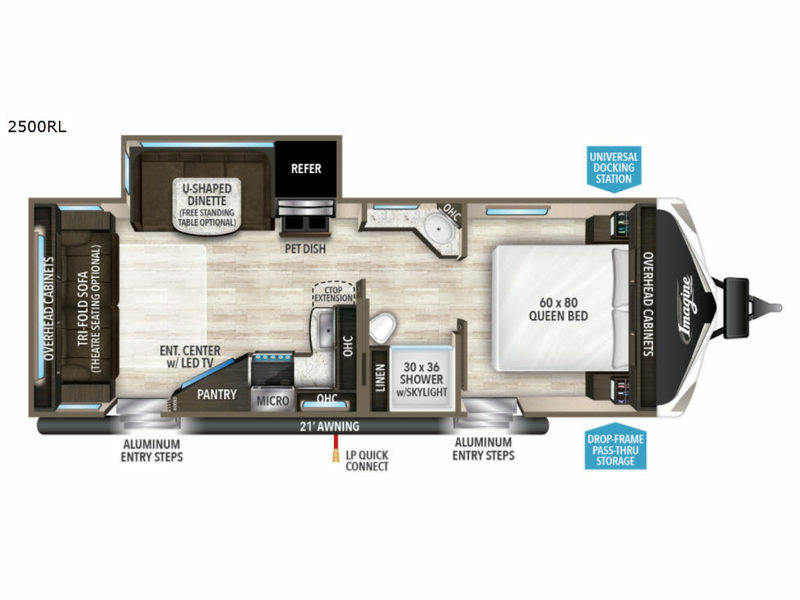 This travel trailer will impress you everywhere you look from the dual entry to the walk-through bathroom. 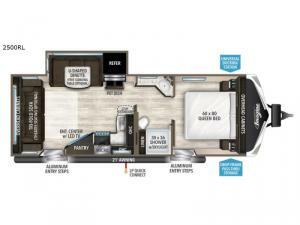 There is plenty of storage inside as well as outside, plus much more!